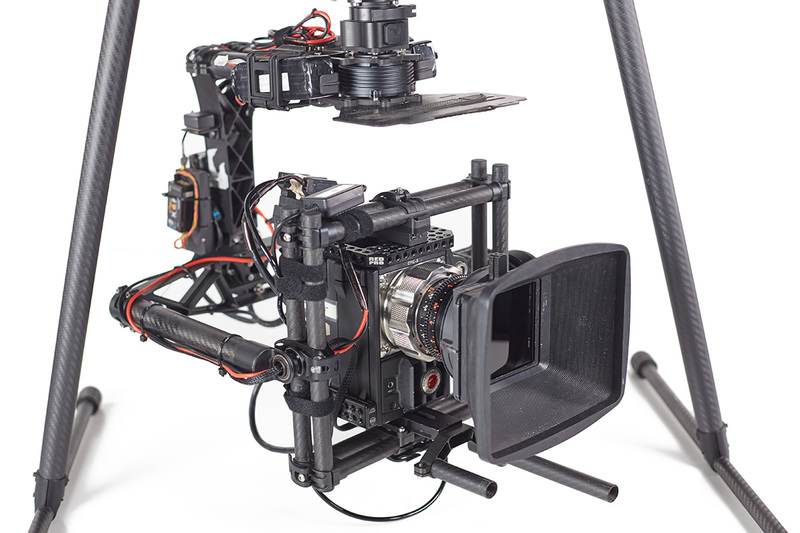 Built for 2 person operation, the X-8 Cinemacopter, is a totally unique and custom built drone, flying with the either the RED Epic Dragon or Alexa Mini. It can be equipped with our PL mount Zeiss standard prime lenses or Cooke S4i Minis, complete with wireless follow focus, or with Canon EF mount lenses. Being custom built means that all parts are serviceable by us, unlike the factory built drones. 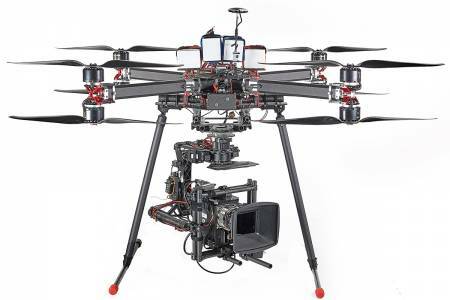 The X8 is an octocopter, designed to have 2 engines on each of it's 4 arms (rather than 8 engines on 8 arms), to help reduce the effects of wind-drag; the landing gear also retracts, to further reduce its profile. Importantly, redundancy is built in to the design, so if an engine fails, it can fly and be landed with just 7 working engines. Stabilisation is provided by a Mōvi M15 gimbal, ensuring little or no post stabilisation is required. Power: The kit includes 12 batteries (i.e. 3 sets of 4) and each set will power the drone for approximately 12 minutes (depending on conditions and take off altitude), which gives an overall flying time of 36 minutes, without recharging. Charging: Comes with Dual 4010 2kW charger which will recharge 4 batteries in approximately 45 minutes, while connected to mains power or a suitable generator. 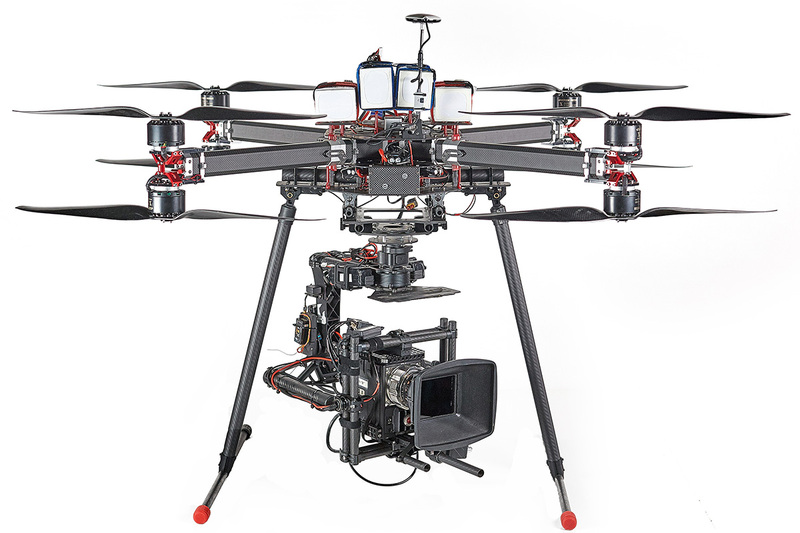 FREE OF CHARGE: We will also supply the DJI Inspire as a back-up drone, for added security.